This is it. Like its sister game (This Hallowed Ground) did for Gettysburg and (This Terrible Sound) did for Chickamauga, A Fearful Slaughter strives to be the definitive Shiloh game. Unrivaled in size, scope, accuracy, and development, A Fearful Slaughter is a game on the battle to be savored and played repeatedly. 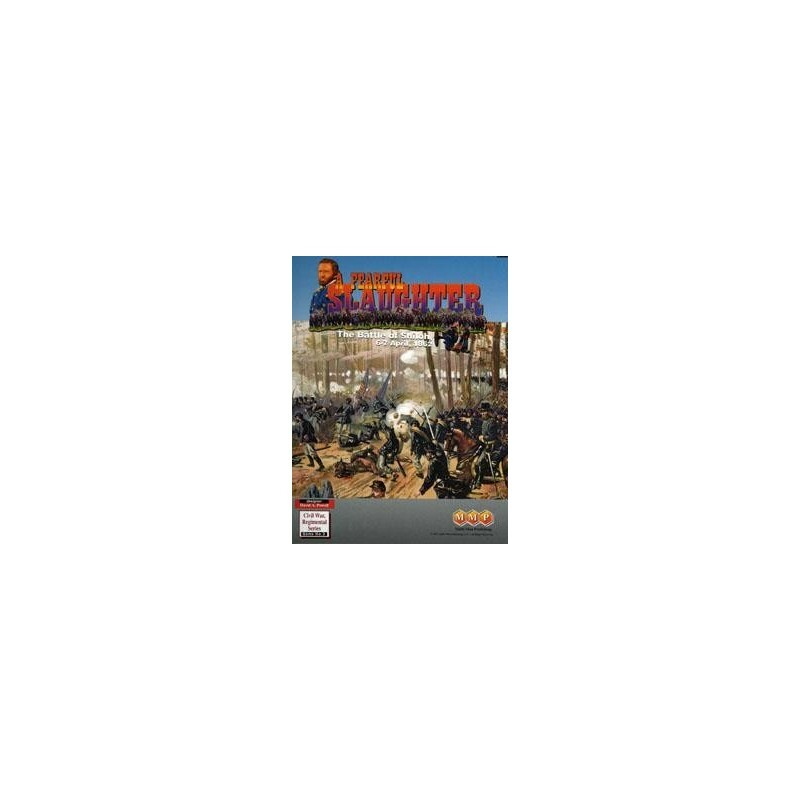 It uses the popular Civil War Brigade Series rules with a set of specially adapted extension rules for Regimental scale action. The research for the two maps was done using multiple Park histories, battlefield surveys and county historical maps. They show the battlefield in more detail than ever before. They are very graphic intensive, however, and some players find it beneficial to place them under plexiglass when playing to provide a slightly offset surface between the counters and the maps. 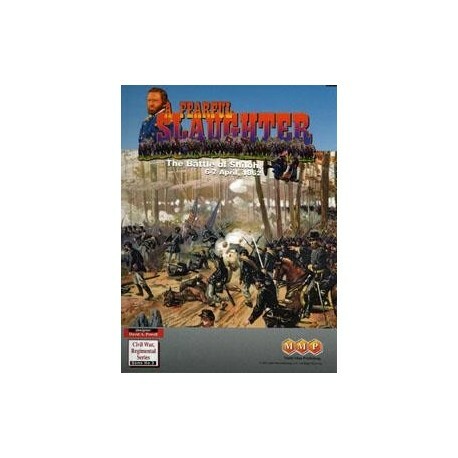 Multiple scenarios in an assortment of sizes make A Fearful Slaughter perfect for anyone who enjoys ACW gaming. According to designer Dave Powell, next up for the Regimental Sub-Series is the battle of South Mountain. Currently we have no timetable for its release, but you can be guarenteed that it will be well-researched, intensively playtested, and graphically beautiful -- a fine addition to RSS!